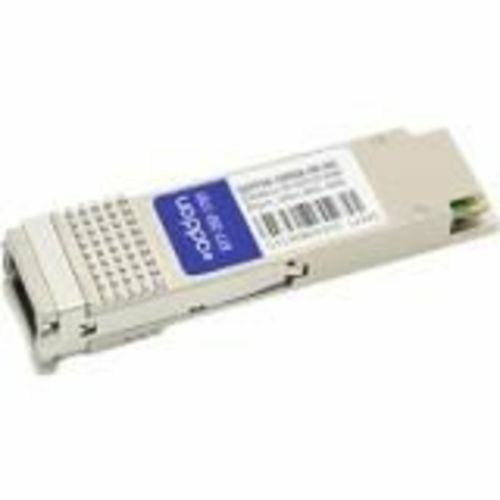 this Msa Compliant Qsfp28 Transceiver Provides 100gbase-sr Throughput Up To 100m Over Multi-mode Fiber (mmf) At A Wavelength Of 850nm Using A Mpo Connector. It Is Built To Msa Standards And Is Uniquely Serialized And Data-traffic And Application Tested To Ensure That They Will Integrate Into Your Network Seamlessly. Digital Optical Monitoring (dom) Support Is Also Present To Allow Access To Real-time Operating Parameters. All Of Our Transceivers Are Trade Agreements Act (taa) Compliant. We Stand Behind The Quality Of Our Products And Proudly Offer A Limited Lifetime Warranty.